Email marketing has entered a new era of innovation, allowing the travel and hospitality industry to reach and engage consumers like never before. But consumer expectations are also high. Today, a successful email campaign takes contextual messaging and offers that speak to each customer on a personal level. In this playbook, you’ll find examples of contextual email marketing campaigns for the travel and hospitality industry that have proven to engage customers, drive ROI and build a loyal fan base. 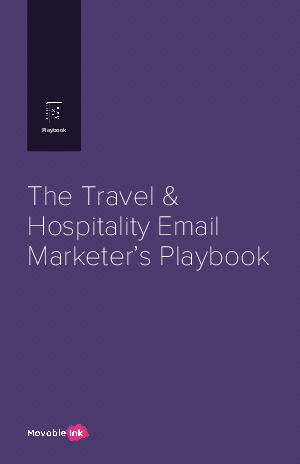 We’ve also packed it with email tips and best practices designed specifically for today’s travel and hospitality marketers. Download this playbook now to find out more.